How to draw Hulk. Learn from easy drawing video instruction and step by step images. 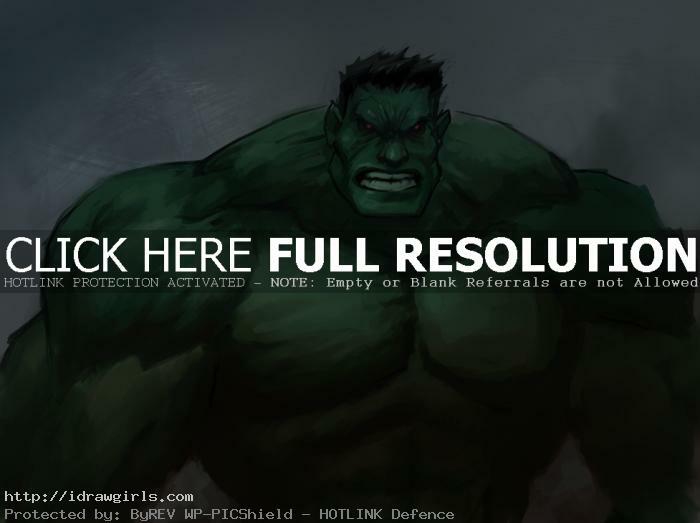 In this post you will learn how to draw comics character superhero, the incredible Hulk. Like I mention on the previous post, I’m doing a video of superhero drawing. So I’m starting of with how to draw comics character, the incredible Hulk. What’s not to like about the Hulk. I love the Hulk when I was a kid and remembering watching the re-run TV series. 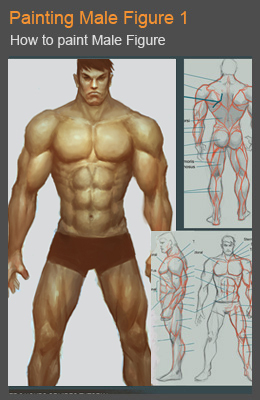 For a bit more realistic tutorial on male anatomy and muscles, you can go watch Drawing body muscle torso anatomy video demo, and also tutorial on rendering manly arm Drawing arm muscles bicep tricep. Both tutorials goes a bit beyond just basic, but they are the important foundation of male anatomy you need to know. I decided to do the update on the “How to draw Hulk” video. 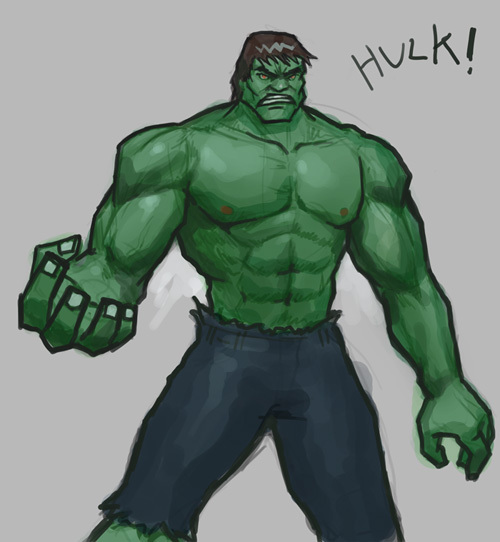 Here is a newer, simpler and better version of drawing Hulk. Below are step by step images to watch along with the video tutorial. Below is the older version I did a long time ago. 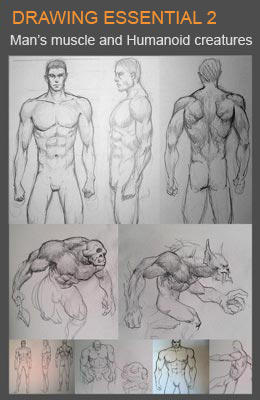 For a bit more realistic tutorial on male anatomy and muscles, you can go watch How to draw man muscles body torso, and also tutorial on rendering Draw arm muscles front view and Draw arm muscles side view with bicep tricep. Both tutorials goes a bit beyond just basic, but they are the important foundation of male anatomy you need to know. 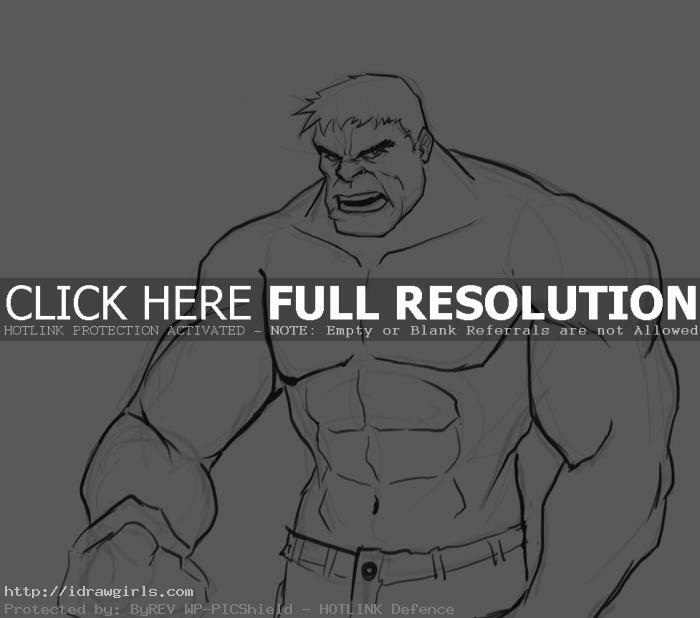 Below are step by step how to draw the incredible Hulk along with the video tutorial. I hope you are enjoy the free tutorials above. Support the website and check out our premium drawing and painting tutorial below (over 2 hours long). Each premium tutorial goes into a lot more detail than the free tutorial. Click on the image below for more detail. Check out the remake, new Hulk digital painting tutorial with video below. May I have permission to use the hulk drawing above in a presentation? I will not be using it commercially for profit. I will also give you credit for the drawing. Thanks.